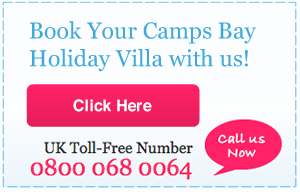 Cape Town is one of Africa’s most popular holiday destinations, with amazing self-catering holiday rentals such as those to be found in Camps Bay, and also a gateway destination to the rest of South Africa. As such this beautiful and cosmopolitan city caters for travellers from around the globe and from all walks of life, and you can find restaurants and other eateries to suit all tastes and pockets. Should you wish to venture further than Camps Bay and surrounds, there are a multitude of excellent restaurants to be found at locations such as the V&A Waterfront. Take a look at the Eat Out Guide for Cape Town to choose restaurants in Camps Bay and elsewhere in Cape Town that will infuse your holiday memories with flavour and aroma and laughter over excellent wines. Should you wish to stay close to home, Camps Bay boasts some of the finest restaurants in Cape Town, offering you the opportunity to dine out in five-star opulence within walking distance of your luxury holiday villa or apartment, or enjoy burgers on the promenade. The cuisine on offer in this exclusive ocean-front suburb, one of Cape Town’s most popular holiday destinations, varies from world-class haute-cuisine to mouth-watering holiday fare, and prices for all compare very favourably to prices in equivalent destinations in other popular holiday spots. One of the best things about a beach holiday is local seafood, and Camps Bay offers the standard fresh-from-the ocean fare as well as superb sushi. There are many excellent seafood restaurant in Camps Bay and Clifton, but why not head straight for ‘Blues’ – a famous and iconic Camps Bay eatery that has been around for almost three decades and maintained consistently exceptional standards and an impeccable reputation. Prices range from R250 – R650 per head for a three-course meal, but the views are priceless. 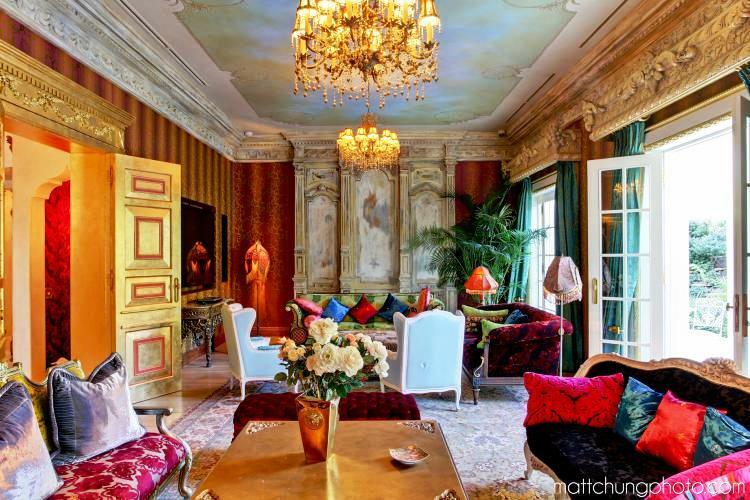 As for where to lay your head between meals, top of the range ultra-luxury Cape Town villa rentals include La Maison Hermes. This superbly appointed and decorated six-bedroom villa one of Camps Bay’s finest villa rentals, and features plush and decadently decorated themed bedrooms that will make you want to come home, kick off your Jimmy Choos and toss your Prada on the floor after a night out at a top-rated restaurant – decadent and irreverent all the way! Another stunningly beautiful and exclusive villa for the discerning traveller, but a little smaller that La Maison Hermes is the ultra-luxurious, eclectic and Eastern-inspired four-bedroom Enigma Mansion. Enigma is touted as offering a ‘Great Gatsby Lifestyle’ and in fact offers the absolute best of everything – from the Versace swimming pool to the massage temple, gym, cinema, cellar and gardens to the largest 3D TV in the world. If you are lucky enough stay here, you’ll want to match the colourful opulence when eating out, so head for one of Cape Town’s finest Indian restaurants and rub shoulders with local and international glitterati over a curry at The Raj – right on the beach! Does it matter what the prices are? 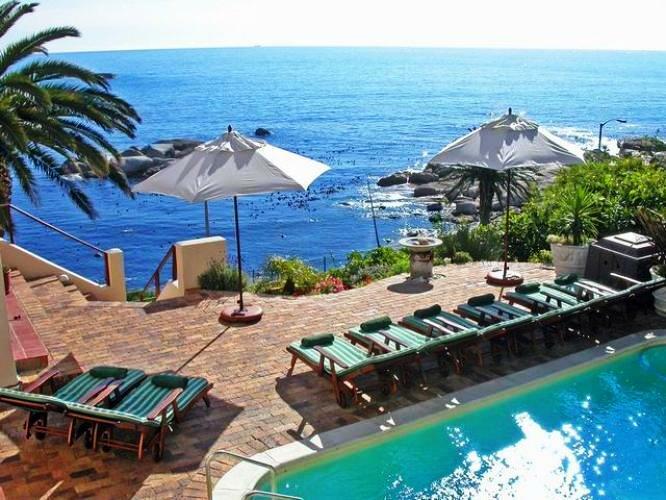 If you are looking for a villa rental right on the beach in Camps Bay, look no further than iThemba. 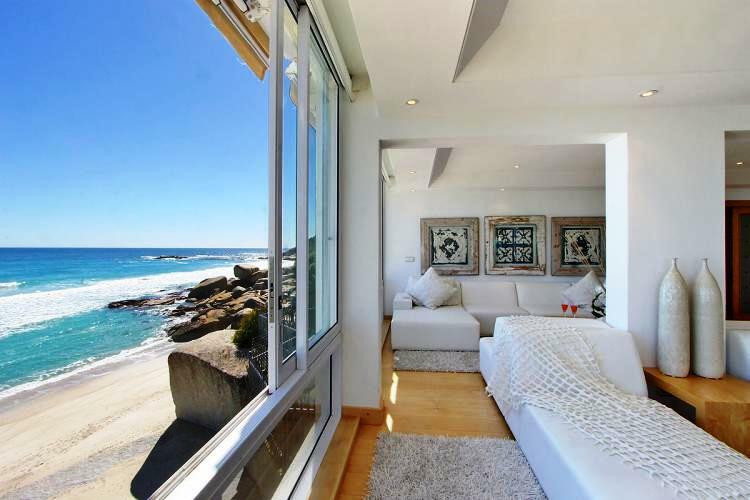 This four bedroom villa overlooks an exclusive enclave in Camps Bay called Bali Beach, and is an ideal villa rental for those wishing to enjoy an authentic, sand-between-the-toes beach holiday. 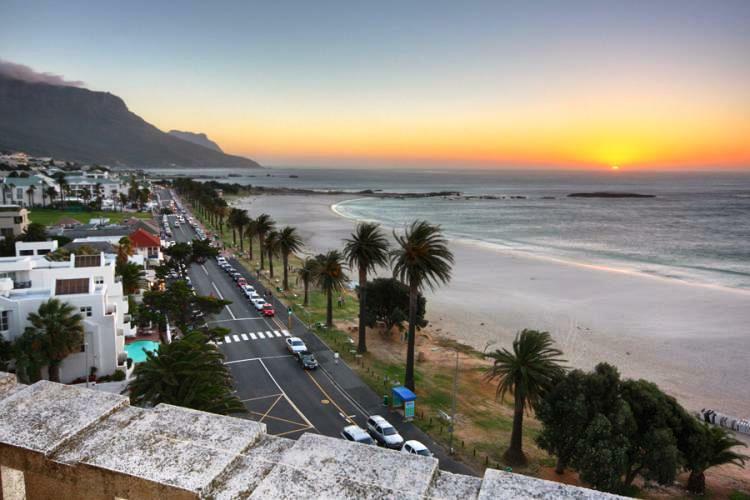 Camps Bay is replete with coastal and beach-holiday style fare – from summer food stalls on the beaches and promenades to cocktail bars serving tapas and sushi and ocean-front restaurants. Try Mezepoli Meze and Wine Bar on the Promenade, or Paranga for the superb cocktails. Again – food prices are more than competitive, but where you will really benefit is in price of cocktails! At a fifth of the price than, lets say… in Capri! 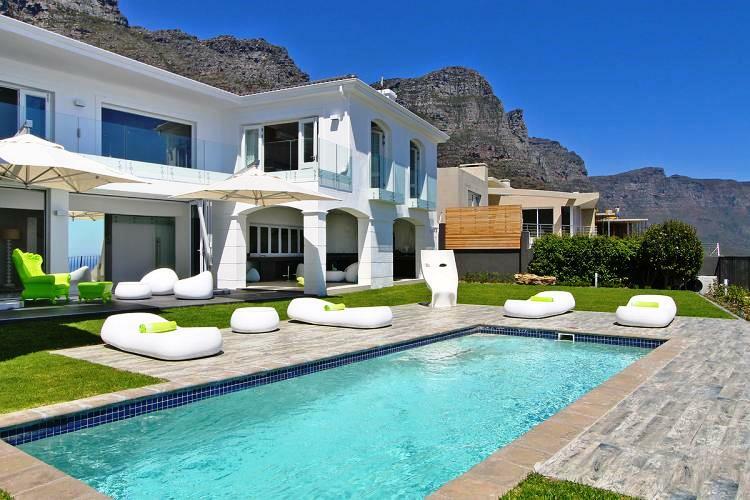 Another incredible beach holiday-style villa in Cape Town is the restored Victorian Camps Bay Terrace Villa. This ocean-front villa features two levels each with its own pool and entertainment area, so it is ideal for two families going on holiday together. When you meet up for meals try two of Tripadvisor’s top choices: Codfather for fresh seafood or the Hussar Grill for some of the best grills in the world! 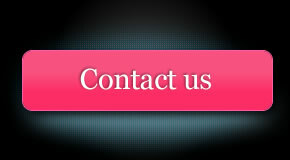 Last but by no means least – rent a superb ocean-front apartment in Clifton and eat out at The Bungalow on the beach. This European-style restaurant is Clifton’s only restaurant but that does not detract from the quality of the food – or the romantic views and Med-style vibe. 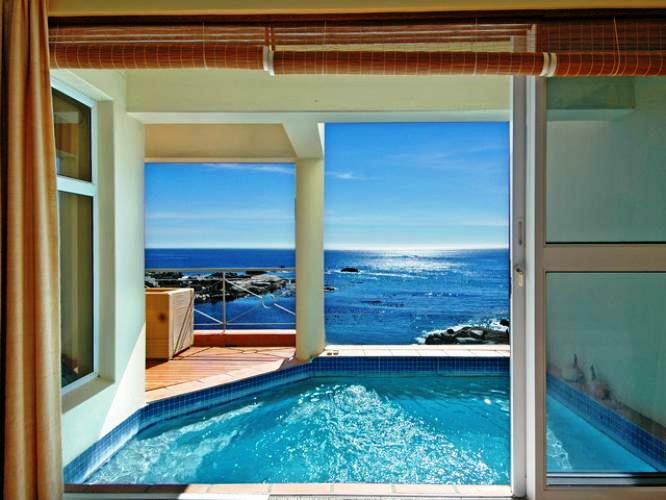 The perfect pad for a couple or small family on a beach-holiday in Cape Town would be the two-bedroom The Heron with its wrap-around views and serene luxury –right on the beach! You can literally climb out the window onto the sand…Enjoy!